The Ocean Awards are held annually to celebrate individuals, companies, legislators and projects that have made outstanding contributions to the health of the oceans. In addition to this it encourages guests and the wider public to support and donate to projects and charities which are tirelessly working to protect our oceans and the marine life that depends on them. For 2017 the Ocean Awards will be supporting the work of the Plastic Oceans Foundation and the Blue Marine Foundation - read on to find out how you can help these worthy causes. Plastic waste is collecting in our oceans at an alarming rate; there are no signs of it stopping. With inadequate waste management practices, the oceans are the ultimate receptacle. Marine life from the tiniest plankton to the largest whale is at risk through ingestion and entanglement. Plastic Oceans Foundation engages people of all ages, in all social situations, to understand the danger of continuing to perceive plastic to be disposable. Once they become aware of the ultimate threat to human health, it will become a personal choice to prevent plastic waste from entering the environment. The foundation aims to tackle this issue by raising awareness through its documentary feature film A Plastic Ocean and three key follow up programmes: science and policy, education and business, and sustainability. 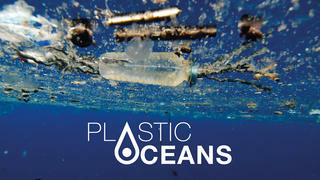 To donate to the Plastic Oceans Foundation visit plasticoceans.org. BLUE exists to combat over-fishing and the destruction of biodiversity – arguably the greatest problems facing the oceans – by delivering practical solutions, including the creation of large-scale marine reserves and sustainable models of fishing. Over-fishing not only threatens fish stocks and marine creatures, it also represents a human food security issue. Around 90% of global fish stocks are fully or over-exploited and 90% of large fish are gone. BLUE aims to place 10% of the world’s oceans under protection by 2020 and 30% by 2030. As part of this BLUE is working to protect the green turtles of Ascension. Ascension Island lies directly between Brazil and Africa and is one of the world’s most important nesting sites for endangered green turtles. In spring, Long Beach, the main nesting site, is covered from end to end with nesting turtles. However, climate change has eroded Long Beach, meaning that it is now a thin strip. It is also moving perilously close to the island’s only football pitch. The conservation team is keen to move the football pitch to a new site, but this would cost £100,000. If marine conservation were to pay for a new pitch for the islanders, this would not only safeguard the most important green turtle nesting site in the Atlantic, but help convince the islanders that an economy based on conservation, rather than selling long-line licences, is the key to Ascension’s future. 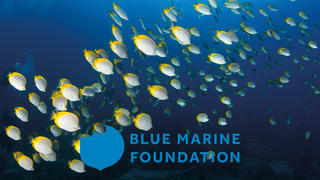 To support the Blue Marine Foundation visit bluemarinefoundation.com.